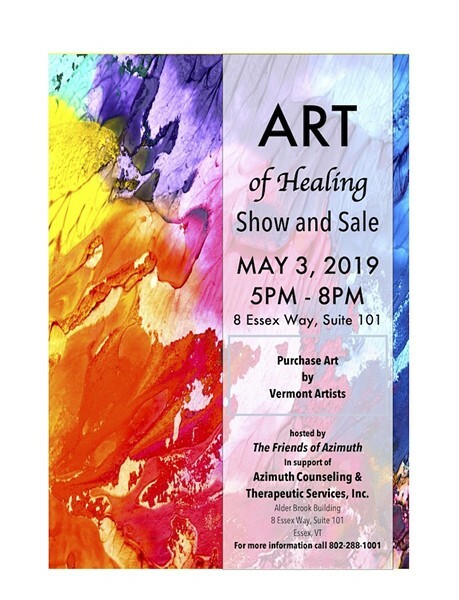 Paintings, pottery, photography and jewelry for sale by professional and emerging Vermont artists. A portion of proceeds will benefit the work of Azimuth Counseling & Therapeutic Services. Donations accepted.